Hey everyone, U2 is sorry. Last month, the band paired with Apple to release their new album, "Songs of Innocence," for free on more than 500 million iTunes accounts across 119 countries, whether the user wanted it or not. Turned out, most leaned toward "not." Soon after, Apple released a one-click tool allowing customers to remove it. Now, even Bono acknowledges the arena-sized screw-up. In a video Q&A on Facebook Tuesday, one fan asked, "Can you please never release an album on iTunes that automatically downloads to peoples playlists ever again? It's really rude." Bono responded: "Oops ... I'm sorry about that. I had this beautiful idea ... might have gotten carried away with ourselves. Artists are prone to that thing. A drop of megalomania, a touch of generosity, a dash of self-promotion, and deep fear that these songs that we poured our life into over the last few years might not be heard. There's a lot of noise out there. I guess, we got a little noisy ourselves to get through it." 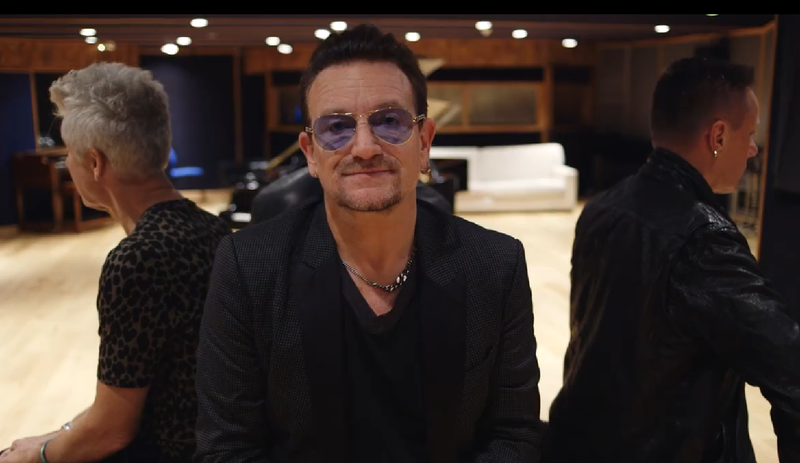 Earlier last month, Bono acknowledged that not everyone may appreciate their generosity. "For the people out there who have no interest in checking us out, look at it this way... the blood, sweat and tears of some Irish guys are in your junk mail," he wrote on the band's website. U2 you are business moguls not musicians anymore. No wonder you have to give your mediocre music away for free cause no one wants to buy it. The physical version of" Songs of Innocence," plus a six-track acoustic session, went on sale Monday.